President Obama declared last week that the Internet was a Public Utility. Rightly so. Say you build up a bridge. Does that give you the right to do whatever you want with the bridge when people use it? Not so, especially if the bridge has become a Public Utility. Any media using the Internet is, to some extent, a Public Utility, because the Internet is a Public Utility. Expression on the Internet is what Free Speech has become now. A fundamental democratic right in Athens was that of addressing the Assembly. There should be a right of free speech answer, especially when a site allows public comments. More generally, the Internet is in need of laws, with the core aim of enabling Free Speech, and disallowing Hate Speech. Commercial, For-Profit Speech ought to be regulated: commerce is always regulated. As it is, the Internet is the Wild West, and those with the biggest guns rule. Comments, rankings, private information and access are manipulated all over. Some companies’ business is actually to write fake comments and reviews, while passing for non-profit oriented free speech individuals: this ought to be considered consumer fraud, and the appropriate laws ought to be passed to criminalize the activity. Scientific American is in the habit of censoring comments: “deciding what material is displayed on our website is our right”. They have censored strict scientific comments from me (without explanation). Scientific American censors, and others, such as Facebook, have argued that their website is their own property, they can do what they want. Well, not really. The problem is that they are in position of monopoly (or more exactly, oligarchy). Then, to empower their oligarchy, they use, and need to use, a Public Utility. That means they are financed by the citizenry in general. Moreover, they got a fiduciary duty: informing and debating in a non grossly misleading, non injurious way. I related that The Economist censored me for quoting the Qur’an (no, I did not join the Jihad; my aim was to show that, at face value, the Qur’an calls for violent acts, and, thus, the need for Imams to inform believers that this is all allegorical, and outlawing interpretations that are stricto sensu). In an article on fuel cell cars, the SA Master allowed dozens of comments from (taxpayer financed) Elon Musk’s minions, calling fuel cell cars “fool cars”. That was not censored. I replied in kind. Scientific American censored me for calling electric cars, ELECTROCOAL. So doing, I claim that Scientific American violated the notion of PUBLIC UTILITY. “This comment has been deleted. Scientific American reserves the right to delete comments and revoke commenting privileges without notice. A subscription does not exempt you from our rules, and deciding what material is displayed on our website is our right, not censorship. You can create your own website for your own opinions and views, to share with the world. Scientific American does not owe anyone a platform – anyone may create a website of their own. This comment is off-topic. Further violations will result in the loss of your commenting privileges, so please review our guidelines carefully. This help desk will not provide another warning. [Notice the contradictions and the weasel words, Big Brother speech: censorship desk is called “help desk”, and “further violations…no other warning”.] “Webmaster” is an interesting Freudian slip: in a free society, the Internet should have laws, not “masters”. Calling Tesla Electric Cars “electrocoal” is an allusion to the fact that electric cars in the USA are loaded with electricity that is half produced in coal thermal plants. So their global efficiency is that of a coal burning installation (more on this in another essay). The Masters at Scientific American don’t like “electrocoal”. So they censor it, and call me a “violator”. And threaten to unilaterally cancel a contract with me, while still taking my money. No law prevents them to indulge in all these abuses of power. Just as no law prevents Uber, an Internet based car-rental company, to use the private information it gathers on its clients, tracking them, selling the data. Uber has apologized. But there should be a law, and employees, and owners, who have violated that law ought to go to jail. Yes, shareholders ought to be punished, as those who owned shares in companies that make money from slaves, ought to be punished; believe or not, those are still around! Laws are not censorship, they are the common rules which apply equally. Private censorship, though, while using the Public Utility of the Internet, is a violation of said equality, which is the essence of democracy. Violation of democracy ought to be unlawful, just as the equally vaguely defined “hate speech”, or “genocide” are unlawful. The problem is the same as when plutocrats use publicly financed research to increase their wealth or power (thus scientific publishing ought to be open source, and subsidies from the likes of NASA to private enterprises subject to serious examination… same as subsidies to big banks). The ultimate reason for democracy, is not fairness, but intelligence. That makes even dictators long for democracy. Democracy allows the group to reach higher intelligence than any other society. The Internet is a tool to further the debate of ideas (ideas which do not violate the law, including hate speech, that is). Violating the free debate of ideas ought to be left to dictators, and other “Masters”. It ought to be illegal in democracy. The right of reply ought to be enshrined in democracy. The manipulations of commentary, and censorship for profit or bullies’ sake, or for perverting the minds of the public or children (see Islamism) ought to be illegal, even if done under the cover of higher morality, or hypocrisy. Internet policing will not solve all the problems of vicious thinking, but it will allow to threaten to address the most egregious of them. Obama Versus Brown. Obama’s Inexistence Made Blatant. Last Twitches Coming? Which process is Obama alluding to? Voting. Two-thirds of eligible Americans did not vote. American citizens are voting out the conventional electoral process. Although I always voted, and although I spent two years, and a fortune, in effort and treasure, to get Obama elected, eight years ago, this time I did not vote. Your humble servant, and We The People have had enough of electing little dictators. If one wants democracy, We The People has got to vote on (most) laws. Politicians ought not to be called “legislators”. Instead, they should be just in charge of the details. In the meantime, refusing to vote is a king of sitting in the middle of the street. Brown is Obama’s skin: it turned out that color of the skin did not bring change. Duh. Brown is also the name of the governor of California, re-elected in a triumph, for the FOURTH time. Brown did two terms as California governor, three decade ago. When he was re-elected 4 years ago, the situation was abysmal. Several governors could do anything to the California deficit. To raise taxes required 2/3 majority (66% for). Californians love their parks. They screamed, and then voted as told. Plutocrats had said they would flee California. Guess what? They found they had nowhere else to go. Brown spent 4 years training as a Jesuit for priesthood, in silence, prayer, and Latin. Later he went to UCB, became a lawyer, and worked, and studied (including Zen) in many countries (including Mexico and Japan). He was not born yesterday. Obama looked condemned to me the day after he got elected, 6 years ago: he went to work at a hedge fund. Hedge Fund: money changers, as president Roosevelt called them contemptuously (and FDR was born with a silver spoon in his mouth, and basically brought up by Teddy Roosevelt, himself president of the USA). That Obama went to work at a hedge fund told me he had understood nothing. Or, rather, strong supporters such as me, had understood nothing: Obama was the plutocrats’ candidate. The leader of the Republicans, McConnell, Senior Senator of Kentucky, just said the Senate needed to be fixed. “We have an obligation to change the Senate”. He said he was going to fix the Senate, making it work on Fridays, even at midnight, and also Saturday, if need be. McConnell’s head is entirely white: he has been elected to the Senate continuously, for 30 years. Hardly not an insider. Question: what happened to the Tea Party? Well, it never really existed. It was one of the tricks used by Obama’s political allies to do nothing. Nothing could happen under Obama, because he was, whether he realized it, or not, an agent of Wall Street, and various other plutocrats. Same problem with the Clinton. The Clintons’ “Global Initiative” has offices a rock throw from Wall Street. 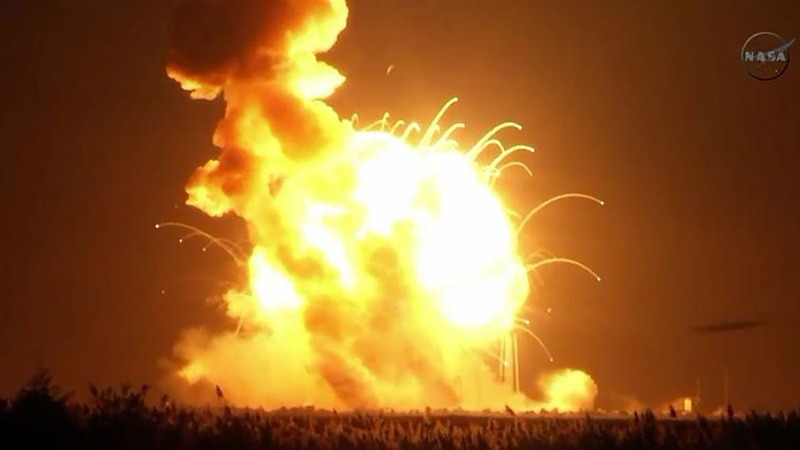 Obama showed this in a telling way, supporting short term tweak to existing and past technologies, calling this support for Research (support for private entrepreneurs to get to orbit, such as the Antares rocket which exploded a week ago, is exhibit number one; the government of the USA ought to support only fundamental research, such as for thermonuclear fusion, or through schools). We are still waiting for the reform of the financial system. It was not difficult: president Roosevelt’s system had to be dismantled. But then that would have dismantled Clinton Global Financial Initiative (I’m ironical). And this is not just a USA problem. The European Central Bank just mentioned hundreds of billions of “financial derivatives” that European banks hold. Well, that cancer which spread form Chicago ought to be unlawful: banks ought to invest in the real economy, not in a parallel universe. In case you wonder why financial derivatives billionaires give multi-million dollar prices for the Multiverse in physics, I just gave you the reason. Is there anything to save from this Obama shipwreck? Well, and this is what the colossal abstention vote is suggesting, we have to change the Constitution (all over; not just the USA and France, or Britain). No need to scream in my face, as a very busy San Francisco’s architect once did, and pontificate that this is not serious, and nobody would take me seriously, if I persist with my folly. It is. The best way is to do as Switzerland is doing, that is sensibly, and insensibly. The Swiss Constitution was not designed for direct democracy, it’s just growing into one, with ever more referenda of We The People, on all important issues. Interestingly (one of the) the “votation” coming in three weeks has to do with limiting immigration. It will not pass, but it has furthered an even more sophisticated reflection on the subject (a Swiss referendum against immigration from (the rest of) the European Union passed last year; negotiations Swiss-EU on it are intense). Referenda are healthy. In Great Britain, immigration is a burning hot subject (people hate it). But because We The British People cannot vote directly on the issue, they have made the European Union (which has little to do with it) into the scapegoat. We have to ask more from politics. This starts by voting out the conventional electoral process. Elect grand ideas, not clowns. The West: Hong Kong In Reverse? In Hong Kong, students are demonstrating. Beijing plutocrats are throwing at them what they can: professional politicians, popular singers, and professional gangsters from the renowned triads. This is what happens when you educate your youths too well: they get ideas, and contest the rule of the alpha male, in this case the omnipotent president Xi (who claims an official right to rig elections by choosing the three candidates to lead Hong Kong; in the West, the process is the same, but behind closed doors). Cynics will sneer that this was the whole idea about degenerating the educational system in the West since the (world) disturbances of 1968 (which topped in the USA, France, and Prague). Precisely to avoid what is happening in Hong-Kong now. How come the left in the West is a right? The answer is obvious: “democracy” is just a sham. Let’s nevertheless waste a few minutes to describe the right that calls itself a left…. Now that France has a so called “socialist” government which governs on the right of the official French right, this burning question comes back to the fore, six years after Obama sold himself, body and soul, to the greediest financial sector in the history of civilization. In the last 20 years, the self-described “left” came to power in the USA (twice: Clinton, Obama; moreover Reagan had to govern with a Congress controlled by democrats), in Germany (Schroeder, and now an union government of CDU and SPD), in Britain (a decade of Blair, Brown). France is the extreme of that: she enjoyed decades of “socialist” rule (Mitterrand, Jospin, Hollande). The result is everywhere the same: plutocracy has kept encroaching (as depicted in Piketty’s “capital). There is even worse: the educational systems have collapsed, all over the West. Indeed, in 1900, the West had, by far the best educational systems in the World. Now the results are eloquent. They are established by PISA, a subdivision of the OECD (the Organisation De Co-operation Economique et Development, in its original French; it was founded, and is based, in Paris). France, Britain and the USA completely fail their new generations. Refined tests on problem solving show that the youngsters of these nations are three years late in their mental development on Asian students. Apparently, the mental retardation has set quite a while ago, because present date politicians do not understand the problem. It’s simple, though: these countries made a huge effort in national education a century ago. Not so much anymore. Valls is a theoretician of greed: he can’t imagine anything else as a human motivation. At least that’s what he said as much about GPA. It’s a bit like Lenin’s apology of dictatorship. Lenin could not imagine a more effective government than dictatorship. Valls is not pecuniary greedy, or let’s say he can wait, as the greed for power is even more direct than the one for money. My tolerance exhausted itself after he made Macron economy minister. Macron’s career is a short resume’ of the genetics of the cancer that infects the West most: a know-nothing, made into a top finance inspector who teaches the world’s most notorious bank how to evade taxes and financially conspire, thus putting himself into orbit for highest rule. The Romans had the Cursus Honorum, we now have the Cursus Damnarum. In the Cursus Honorum, would-be politicians, after a top education, became first top officers in the Roman army. And then, only then, would go back to politics. Because Rome had strict term limits, politics was spread among the many. For example a Consul had full power for just a month, and then, after his one year term, could not be re-elected for another year. Here, of course I am talking of the full Roman Republic, not the diseased system which agonized for centuries after Augustus came to power. Conventional historians prefer to talk about the latter, because they are the Gibbons of the plutocratic system we have the dubious honor to enjoy. How could the so-called left not be a right? It’s all about how politicians are selected. First, they are most greedy. They are all about the Will To Power. Second, if not 100% greedy, they are somewhat deranged: they really believe that, with their puny minds, and extravagantly modest propositions, in these most alarming circumstances, they will really make a difference. Third, they give themselves what scientific psychologists, the ethologists, call “moral license”. That’s the idea that, if one has made what one perceives as a good deal, or has the right to trample others, somewhat. Indeed, the leaders of the West now, in their collective, have rights not really different from that of the omni-president Xi and his colleagues. It is for example against the law in France to insult one of the goons of the government. The powers that the top politicians in the USA have, are awesome. And forget about checks and balances, as the presidency of W. Bush demonstrated! The entire USA was committed to a war crime course in 2003 with as much ease as Nazi Germany in 1933. And please don’t tell me that’s ancient history. The present war against ISIS/ISIL/ “Caliphate”/Daech springs directly from this. The essence of the power of that organization is that the tribes that the USA struck against in 2003 are now sitting on their hands at best (when they are not outright helping the Islamist insurgents). This entire political system of the West rests on greed and delusion. It’s a system of thoughts and moods, where greed, sugar-coated with the appearance of altruism, rules. Blossoming plutocracy is a consequence. And the more it goes, the more education, reflection and civilization, degenerate. The type of remedy needed can be observed in the streets of Hong-Kong. It is easy for the Hong-Kong protesters: they want what the West already has. In the West what is needed has to be invented. Looking around (Switzerland), or learning history (fully Republican Rome, Athens), will help the imagination. The real problem is that there is no progressive guidance. A proof is my struggle in philosophical circles right now to impose the correct view on Aristotle. Aristotle was first and foremost, the greatest architect of plutocracy ever. That’s how, and why, he got to be viewed as the greatest philosopher ever. Everybody drank the poisonous cool-aid, ever since. Something similar is happening now, live: Krugman’s position of Quantitative Easing (giving money to the largest, most powerful banks) is (still) viewed as highly progressive… And so apparently, is austerity. And where is the money found to fund all this austerity? Some of it is found all the way into the bone. Fundamental education (That’s now called the “Common Core” in the USA), and fundamental research. Maybe, if he had been taught the Common Core, Prime Minister Valls would be able to logically determine he stands on the right of the National Front’s Marine Le Pen, in several dimensions. Maybe, if he had been taught the Common Core, Obama would fund fundamental research: unbelievably, he has been cutting into the bone there… Just when everything is becoming possible, the leadership of the West is trying to make the impossible possible, by closing the future to progress. Scotland’s vote was a victory of democracy: 84% of the potential voters, voted. Nothing will be as it was before. The “No, tanks”, I mean, “No, thanks” scared rabbits won, with an impressive 55%. The “No, Thanks” were helped by enormous propaganda from the London elite, and promises never meant to keep. Yet, the debate is just starting. Worldwide. It was independence from the London plutocracy which was demanded, and partially obtained further, even before voting, when London finally panicked, and offered whatever the Scots wanted. It was pretty much plutocracy against Scotland: the financial markets rallied after they learned Scotland was nominally to stay subjugated to wealth friendly Westminster. Sir Mick Jagger and his fiscal paradises won (“Please to meet you, hope you guess my name…“). The real fun is going to be when Catalonia proceeds with its independence referendum. This is going to be less civilized. The right wing Spanish Prime Minister is much less reasonable than David Cameron, the British PM. Of course, this is because Cameron was (erroneously, as he found out) sure to win, whereas the Spanish PM knows that Catalonia will vote for independence: a recent march for independence had 1.8 million Catalans in the streets, more than voted for independence in Scotland. And the present French Prime Minister, the head strong Valls, in charge of saving France from herself, is Catalan born and raised. The French PM went to Catalonia, and made vibrant pro-European speeches there, in Catalan. For centuries, Catalonia, freed by Renovated Roman Emperor Charlemagne’s armies, was part of “France” (whatever “France” means), while Spain enjoyed an horrendous Islamist occupation. In practice, that meant Catalonia was independent for centuries… Until the German, Italian and Spanish fascists conquered the Catalan nation by force, massacres and gore, during their war against the Spanish republic (1936-1939). Nationalism is obsolete. Yet direct democracy ought to be the future. There was an important transnational component in the Scottish vote, all for “independence”. Unsurprisingly, the anti-European hysteria in London pushed Scots away, and towards Europe. “Independence” is all relative, as the Scottish National Party, like the Catalan one, is very pro-European. In Athens, people had power: they voted themselves on the laws they wanted. Athenians did not “vote” through an oligarchy supposedly, and somehow, representing them. The “democracies” we have now are not democracies, but representative oligarchies. It’s joining insult to injury to call the regimes we suffer under, “democracies”. Only the Swiss have a direct legislative democracy. Each of the 26 Cantons, has its own Constitution. The independence referendum brought considerable concessions from London to Scotland. At least rhetorically. The UK now ought to equip itself with a federal constitution. No doubt that if London does not deliver, London will be punished. Scotland is already a nation. Should it be a state? The average state in the USA is of the same size: 6 million people. The least to do is to give Scotland much more independence than the average American state enjoys, considering Scotland’s independent history (and resistance to the Romans, who never conquered it, although they tried, hard). This is arguably even more true with Catalonia (more or less founded by Carthage, Catalonia was long independent, or part of the Frankish empire; Barcelona is named after Hamilcar Barca, a prominent Carthaginian plutocrat). In general, as We The People vote by themselves, for themselves, the present oligarchies will have to make concessions. Thus just driving towards real democracy will have immediate effects, as it did in Scotland. The lesson will resonate around the world. Time to ask for more than what the Scots already have. More independence from the powers that be. Humanity is facing its greatest crisis, ever. Clearly the situation of the biosphere is the most dangerous in 65 million years. And what do we do? We put in charge of everything individuals such as Mr. Hollande, an obvious half-wit with a vicious sense of contradiction (his ex-mistress revealed that “socialist” Hollande calls the poor “Sans-Dents”: “No-Teeth”). Krugman wrote in the “Fall Of France”: “At this point, Europe is doing worse than it did at a comparable stage of the Great Depression. And even more bad news may lie ahead, as Europe shows every sign of sliding into a Japanese-style deflationary trap.” That has long been clear, as I pointed out in GREATER DEPRESSION, more than three years ago. Hollande nominated an entire team of half-wits to lead France; several of whom apparently hoped that, being at the top of the state would put them above any suspicion, and allow them to engage in massive tax evasion. The latest of these low lives was Trade Secretary only nine days before it came to light he did not declare his income for years. Not to worry: he is back to Member of Parliament again, where he will be presumably able to make discourses attacking those in the Middle Class who complain about confiscatory taxes, as he used to. Hollande’s fate is reminiscent of Obama’s. Here are two presidents elected to enact real change profiting We The People. Yet, they soon surrounded themselves with people from the other side, the side of very high finance. Then they surrender to the reality they had themselves created. In both cases, it has been a triumph of the bankers. In both cases individuals who worked in, and for banks, became pillars of the administrations. And not just any banks. The major banks, those entrusted by society to create massive credit, that is money, to support the economy. Instead those giant banks spend all their muscles engaging of a casino of their own making, in which they make money off each other and a secretive universe of hedge funds and so called “Dark Pools” (more than half the world’s money). Hollande just nominated Mr. Macron, 36 year old, Economy Minister. Macron is a graduate of ENA who worked as a Finance Inspector, before being employed by the Rothschild Bank for four years. Presumably Macron was using his know-how of the Finance Inspectorate to tell Rothschild how to avoid taxes and prosper. Macron made a huge fortune. Rothschild had already pulled this trick over a twenty year period in the 1960s and 1970s, when another of its equally ignorant creatures, Pompidou, came to lead France as PM and then President. Key role? Let me laugh. One of the main reason for acquisitions right and left is so-called inversion, in other words, tax evasion. Sharp wits? No doubt it’s smart to be a crook, when being a creep puts the world at one’s feet. This all begs the question: how extensive is corruption in the democracies? When all the leaders are bankrolled so extensively by the most powerful, most perverse financial system ever created, is it surprising that the leaders’ decisions favor private banking? And how come that banks, those daily beasts, have acquired that much power? Lest Americans congratulate themselves about such things not happening in the USA, let them know that what is going on in the USA is even worse. In the USA many of the tax avoidance schemes which are unlawful in France, are perfectly legal. In all and any cases, the conclusion is the same: the definition of plutocrats is that they do not pay taxes. This is exactly what happened with the French Ancient Regime aristocracy. Now top public servants (that is top politicians) are on the take from said plutocrats. Even the educational system has been thoroughly tweaked: no instruction is ever given revealing the role bankers and plutocrats (most of them US plutocrats) played in the rise, one should even say the creation of Nazism and even World War One. What remedy is there now? Why not try democracy? Real democracy, not the representative oligarchy we have, which insults us by calling itself democracy. Direct democracy works in Switzerland (where banks have been reined in better than anywhere else, contrarily to repute). It could be tried in other countries. It is too bad that a call to direct democracy has not been made the main axis of the Scottish Independence referendum. But it is not too late for more local entities to shake the slavery to extreme finance. A last hilarious note about Macron. When “Macron” was named finance dictator of France, I could not believe it. Macro, in French “Macron”, was one of Tiberius sidekicks. Macron, a Roman prodigy similar to the French Macron, organized emperor Tiberius’ passing, and nominated Caligula. According to Tacitus and Suetonius, Tiberius was in no hurry to depart this world, and Macron, in the end, smothered the old Princeps below blankets and pillows. In both the case of France and the USA, it was found that the elites themselves (the top fifth) are sinking fast in their ability to hold a rational discourse in math, science and reading. The differences are not small: Chinese students were found to be three years ahead of their somewhat lamentable Franco-American colleagues. Moral, and then mental degeneracy has proven a strong force, throughout history. The Greco-Roman empire went down that way. So did the Jin and Song dynasties, let alone the Baghdad Caliphate. So long live the prodigiously immoral Macron, fit for a brainless age, Caligula should be around the corner. Some brainiacs such as the philosopher Michel Serres (of “France decapitated”), make a big deal that France is a “Republic”, and the USA a “Democracy”. It’s the sort of mock sophisticated distinction that those who want to look intellectual embrace. Serres has taught in plutocratic universities of the USA, he should know better. Or, maybe, he knows better how to serve his masters than yours truly. The distinction is without merit. First it blows up the differences between France and the USA. In truth, both Republics are much more similar to each other than they are, to any other regime in the world (including the United Kingdom). Differently from Rome and Athens, the USA and France were born as entangled republics. Both Republics have recent imitators, namely dozens of modern states. Second, the main difference between “Republic” and “Democracy”, as it happened 25 centuries ago, was just a matter of language and esthetics. The beauty of how the concept sounded in Greek did not translate in Latin (‘Populus-Imperium” has six syllables). Athens called itself a “demokratia”, because demokratia was a Greek word. Greek spoke Greek, Romans spoke Latin. But democracy was not exclusively a Greek concept. It was as strong, if not stronger, in Rome. Indeed, the “rule of the People” is how human societies have always worked best (except during war): distributed intelligence, creating the super-brain effect, from the many brains debating. The “Multibrain” effect. Whereas, indeed, I do not believe in the “Multiverse”, the human brain, and, even better, any human society, is a multiverse onto itself. Democracy allows to tap in this multiverse of the multibrain. Democracy is a multiverse. For real. So the Romans spoke Latin. They had two words for “power” in the sense of “rule”. “Potestas” for lower magistrates, “Imperium” for higher magistrates (Consuls, Proconsuls, Praetors; “Censors”, although higher magistrates, did not have the “Imperium”). It would have been all too long, thus awkward to make a single word with “populus”, “potestas”, and “imperium”. Thus the romans instead used the Thing Public (Res Publica). Later the Demos-Kratos of the Greeks, Latinized into “democracia”, was used. But that does not mean the Romans did not practice democracy. They did. Real democracy, that is, direct democracy. In practice, there was little difference between direct democracy as practiced in Athens, and that practiced in Rome. The various Roman “Magistrates” were masters of diverse functions, and represented those functions. They implemented People Power, they did not displace it. They did not represent people, just functions. Athens’ democracy failed, because, as Demosthenes pointed out, the Greek city-states refused to make the tremendous war that was required to get rid of the fascist plutocrats from Macedonia. In the end the war came to them, and Antipater, one of Philippe’s senior generals, took Greece over thanks to enough torture and execution to terrorize the Greeks into submission (130 years later, the Roman Republic freed Greece, and the legions were then withdrawn). If it was so good, why did Rome quit Direct Democracy? I have argued that it was because of the rise of plutocracy. That’s entirely correct, but then the question occurs of what allowed this rise. I have written detailed essays pointing the finger at the Second Punic War, the rise of the war profiteers, the death, or dilution of the really noble Patrician families’ spirit (whose ancestors had conducted the Roman Revolution in the Sixth Century BCE). 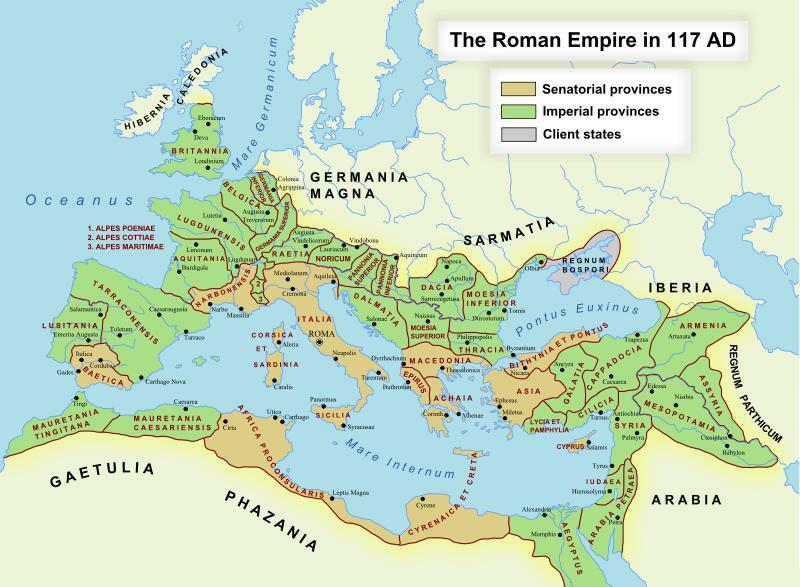 I also pointed out to the fact that the Roman Republic became, thanks to that war, around 200 BCE, a global power. All too many rich, powerful families were then able to do what is now called “inversion”. Namely rule from abroad (where Roman Law did not apply). So they escaped confiscating taxation that was meant, precisely, to decapitate the plutocratic effect. But there was another pernicious effect of the vastness of the Roman Imperium. Athens had met it already. In the Athenian Assembly (of the People), important decisions needed a high quorum. That meant distant farmers had to travel to Athens for a few days. That was expensive, so the Athenian Republic paid for distant farmers to come to vote. The situation was much worse in Rome. The Athenian City-States ruled Attica, which is about 100 kilometers long. The Athenian Imperium extended at some point to the Black Sea (to insure the wehat supply). Moreover, all Athenain dependencies could be quickly reached by boat. Not so with Rome. Cities such as Numance (Numentia) sat in the middle of Northern Spain, weeks of travel from the sea. Rome was physically incapable of maintaining communications fast enough to maintain direct democracy (in any case the old democratic set-up in Rome depended of the detailed status of citizens within “tribes”, and would have had to be severely modified just to extend to Italia). Very slow communications was the deep down root killer of Roman direct democracy. We don’t have this excuse. Not anymore. Quite the opposite. Whereas Rome experienced a loss of opportunity as the empire extended, modern technology, the Internet, offers us the ability to do as the Romans did under the Republic: vote all the time, about anything. We don’t need no stinking representatives. Freedom is a mouse click away.